Theme from "The Butterfly Lovers Concerto" and "The Moon Reflected on Erquan Lake"
Debussy Girl with the Flaxen Hair, Scarborough Fair, Brahms Hungarian Dance no. 5, Chopin Nocturne in C sharp minor, Satie Gymnopedie No. 2, Bach Air on a G String, Londonderry Air (trad),Monti Czardas, Bach/Gounod Ave Maria, Satie Gymnopedie No. 1, Gershwin Preludes, Rimsky Korsakov The Flight of the Bumblebee. 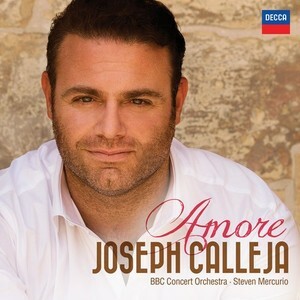 The "Maltese Tenor" has recorded John Lenehan's arrangement of "La Califfa" by Ennio Morricone. The BBC Concert Orchestra was conducted by Steven Mercurio. Previously the same forces recorded John's transcription of Mario Lanza's Hollywood version of "Silent Night" again for Decca. Maksim's latest disc includes three new arrangements from John Lenehan - Themes from Mission Impossible, Spartacus and The Godfather. John Lenehan's collaboration with Maksim Mrvica began with the title track of the 2005 EMI album "A New World". Recorded with the Royal Philharmonic Orchestra, The "New World Concerto" is a reworking of the last movement of Dvorak's New World Symphony as a piano concerto. The next album "Electrik" included versions of music by Verdi, Grieg and Mussorgsky. For Maksim's next album "Appassionato" John arranged music by Brahms, Beethoven, Saint-Saens and this fantasy on Bizet's Carmen. John has also arranged several tracks for Emma Johnson, Tasmin Little and Julian Lloyd Webber.